Staff Sgt. 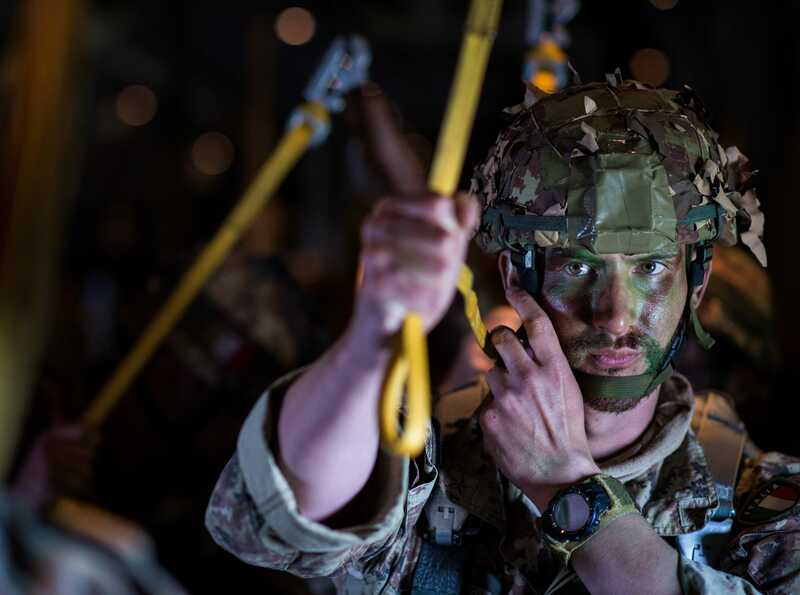 DeAndre Curtiss/US Air ForceAn Italian paratrooper prepares for a static line jump in a US Air Force C-130J during exercise Swift Response 16. Staging aircraft carriers offshore or using drones from far away can be great assets in modern warfare. However, sometimes it’s necessary to go back to the basics when responding to a global crisis. 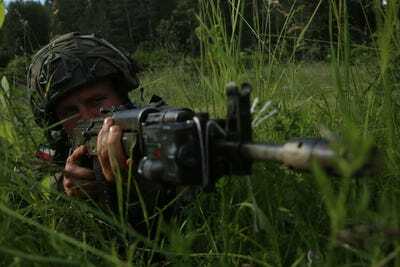 Exercise Swift Response 16, a month-long operation led by US forces, was conducted to keep up with traditional and newer methods of combat. 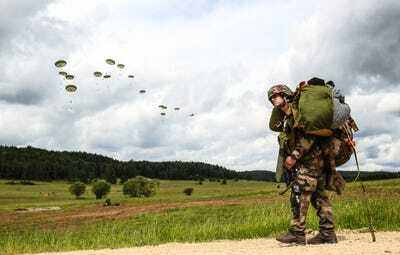 Over 5,000 troops from nations such as France, Germany, Great Britain, and Italy took part in this massive airborne exercise to conduct a rapid-response, joint-forcible entry scenario. While working with their European allies, US forces also participated in notable scenarios, such as staging a base within 18 hours of notification. 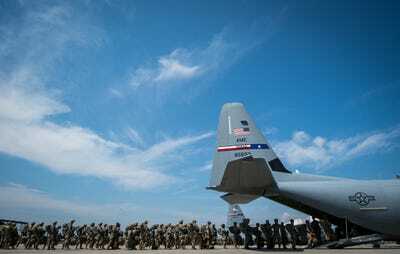 US Army and Italian paratroopers board a US Air Force C-130J Hercules during exercise Swift Response 16, at Ramstein Air Base, Germany. 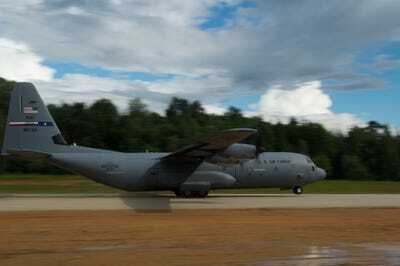 A C-130J Super Hercules aircraft from Dyess Air Force Base, Texas, takes off within several hours worth of notice for Germany. 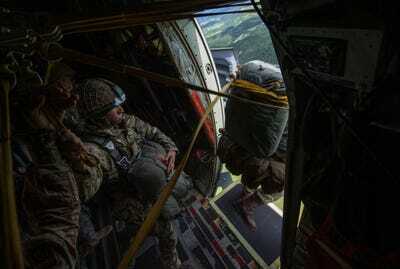 British paratroopers conduct a static line jump. 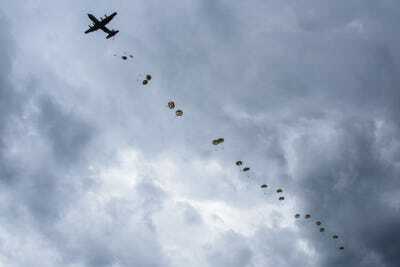 Dutch Army paratroopers jump into Bunker Drop Zone at Grafenwoehr, Germany. 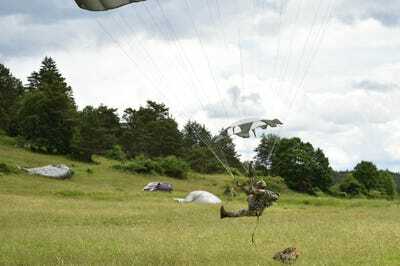 A US paratrooper with the 82nd Airborne Division lands with his parachute. 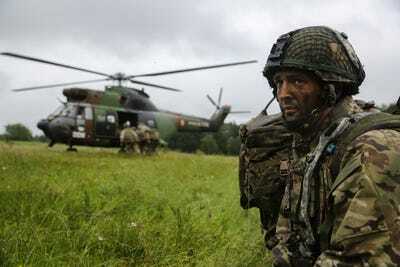 A French soldier watches soldiers descend from a Lockheed C-130 Hercules. 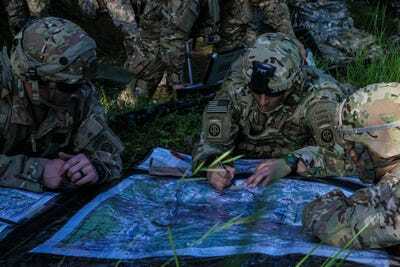 US soldiers locate a target on a map. Multinational soldiers move toward their target. 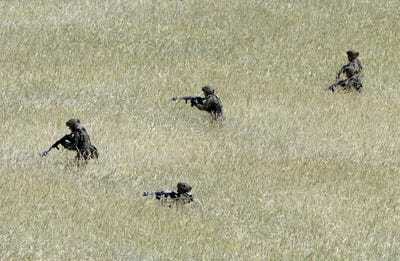 Multinational soldiers cut through the foliage. Soldiers weren't the only ones dropped from the sky. 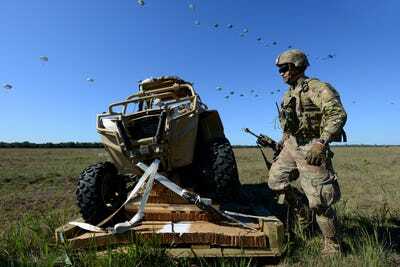 Here, a US soldier prepares to untie a vehicle that had been dropped onto the drop zone. 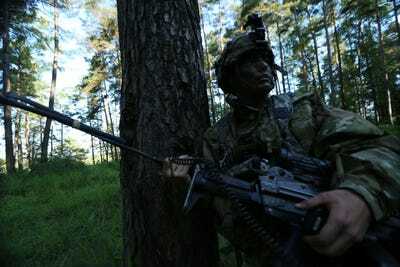 A US paratrooper radios higher command while conducting defensive operations. 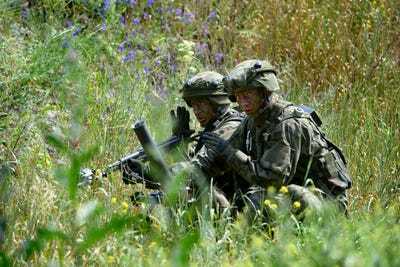 A Polish soldier provides security while conducting defensive planning operations. Aeroplanes weren't the only machines dominating the skies. 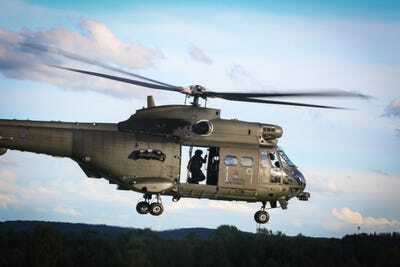 Here, a United Kingdom Aerospatiale SA 330 Puma conducts an aerial reconnaissance training mission. A British Parachute Regiment soldier prepares to load a helicopter while conducting a simulated medical evacuation. 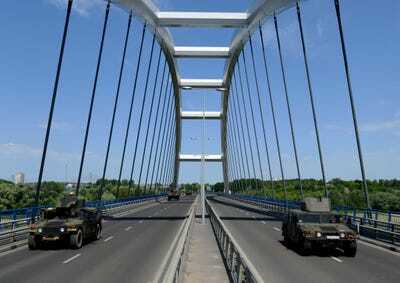 In any real-life war scenario, bridges will be critical to both defensive and offensive forces. Here, military tactical vehicles prepare to engage their targets. 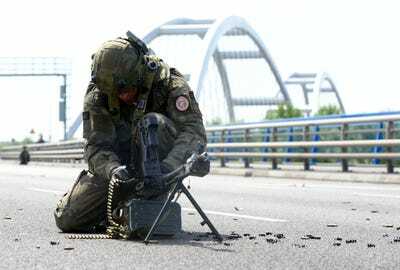 A Polish soldier reloads his weapon while securing a bridge. Over or under, bridges will be fought for. 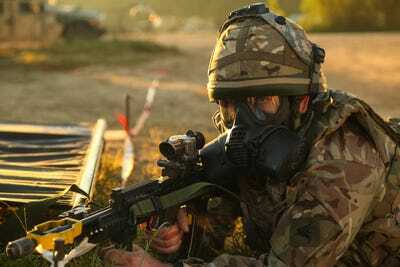 A British soldier provides security while conducting medical evacuation simulations. The US wasn't the only country that brought out their toys. 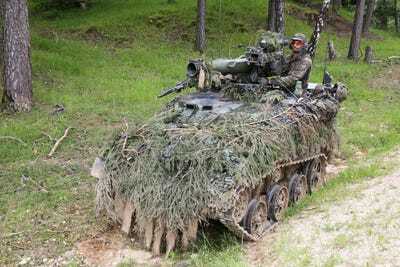 Here, German Bundeswehr soldiers provide security while conducting a mounted patrol. 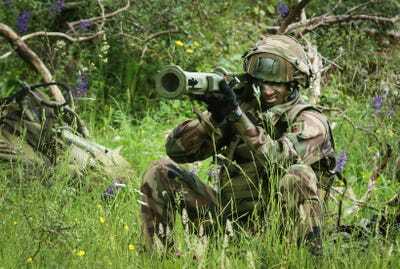 A French paratrooper aims his anti-tank weapon at an enemy tank. 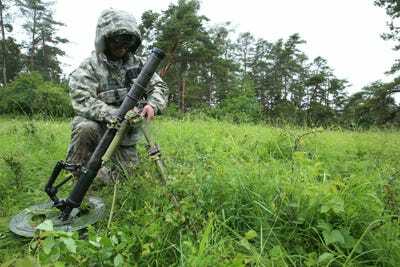 US forces from the legendary 82nd Airborne Division readies a 60mm mortar system for a simulated fire mission. 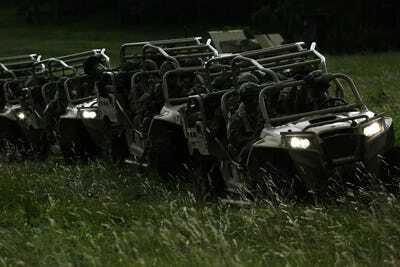 US soldiers of Chaos Company, 504th Parachute Infantry Regiment, 82nd Airborne Division prepare to move out with their Light Tactical All Terrain Vehicles.